Saturday 28 January is the first day of the Chinese New Year, the year of the Fire Rooster. 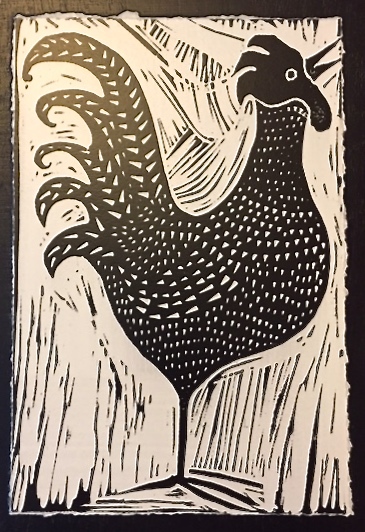 Rooster qualities – commitment, loyalty, honesty and outspokenness – can help us all in 2017. 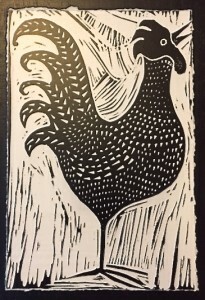 The Rooster’s vivacious and charming energy draws people to them and they can be quite influential. In 2017 with Rooster energy abound, we can all be change-makers. Don’t’ be afraid to take the spotlight and speak up for what you believe in. With right effort, goals will be realized and projects completed. Best place to start is with yourself and your health. Implement your exercise, meditation, nutrition intentions. 2017 brings an open slate for you to begin your next masterpiece. In numerology, 2017 is a 1, which signifies new beginnings. Astrologer Gretchen Hidell advises that we choose to put our energy where we want to see it grow in the coming years. “Energy flows where attention goes,” Gretchen always says. Listen to Gretchen’s You Tube video about 2017. This entry was posted in Healthful Living, Newsletter. Bookmark the permalink. Both comments and trackbacks are currently closed.